The Peavey Renown 400 guitar amp is a solid state amplifier released in the late '80s. Solid state technology was still relatively new during the '80s, and Peavey was one of the first amplifier manufacturers to make production model solid state guitar amplifiers. The Peavey Renown 400 is known for its durability and extreme loudness. The Peavey Renown amplifier is power rated at 210 watts into a 4 ohm load. The power amp clips at 130 watts into 8 ohms and 210 watts into 4 ohms. The owner's manual states that splitting the load to 2 ohms is not recommended. The Peavey Renown 400 had less than .5 percent total harmonic distortion. The Renown has greater than 95 decibels below rated power hum and noise. The domestic (U.S.) power consumption is 600 watts, 50/60 hertz, 120 VAC. The high-gain input of the Peavey Renown 400 has a high Z, 200 K ohms impedance. The high-gain input's nominal level input is -26 dBV, 40 MV RMS, the minimum input level is -46 dBV, 5 MV RMS and the maximum input level is 4 dBV, 1.5 MV RMS. The low-gain input of the Peavey Renown 400 (-6 dB pad) has a high Z, 44 K ohms impedance. The low-gain input's nominal level input is -22 dBV, 80 MV RMS, the minimum input level is -40 dBV, 10 MV RMS and the maximum input level is 10 dBV, 3 MV RMS. The front panel of the Peavey Renown 400 has a high-gain and a low-gain input at the left end of the panel. To the right of the inputs is the lead-gain section which includes a pregain knob (with a pull feature for a brighter sound), a saturation knob and a post gain knob. To the right of the lead gain knobs is the lead channel equalization section which includes the low, mid (with a mid-shift option that allows you to choose which frequencies the mid-knob controls), high and presence knobs. To the right of this section is the normal gain section with pre-gain (again with a pull feature) and the post gain knobs. 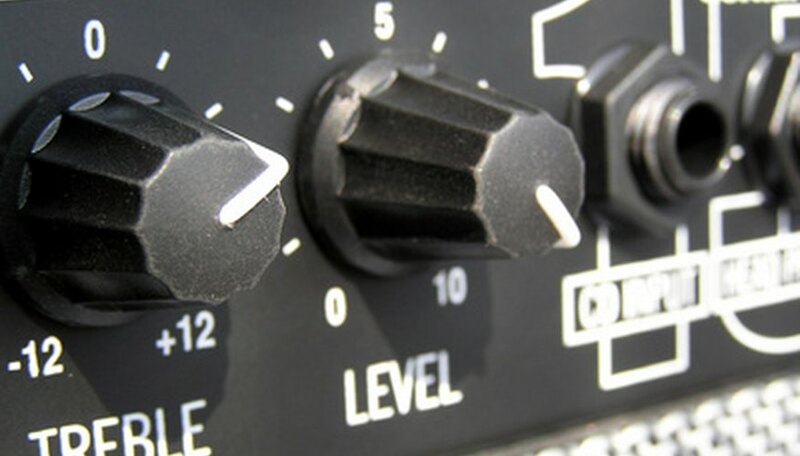 To the right of the normal gain is the normal equalization section which includes the low knob, the pyramid knob (an active control that shapes the mid frequencies), the shift knob (which designates the frequencies that the pyramid knob controls) and the high knob. The last knob is the master volume knob. On the far right of the amplifier is the ground switch and the power switch. The rear panel of the Peavey Renown 400 amplifier includes the power cord at the far left of the panel and a series of jacks on the right side of the panel. The jacks are a pair of paralleled speaker jacks, a power amp in jack, a pre amp out jack and a foot switch jack. What Is a Power Amp Used For?